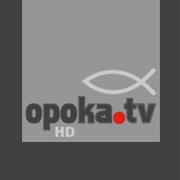 Music TV Channel / Opoka.tv - Polish thematic TV station, broadcasting music videos with Christian music . Christian and family-friendly values ​​are promoted on the station's air. The station was created on the basis of the internet broadcasting station Opoka.fm broadcast since 2004. From February 15, 2008, Christian music videos, documentaries and documentaries in the form of video on demand were posted on the website. In this shape, the station was broadcast until the end of January 2014. In turn, on 15 February 2015, a test emission was launched in online steaming. Creator focused around the portal Jesus.com.pl. 90% of the station schedules are Polish and foreign music videos with CCM music. The remaining antanic period is occupied by interviews with artists of the Christian music scene, presentation of new products, CCM curiosities, as well as entertainment and educational programs, including documentary and feature films.